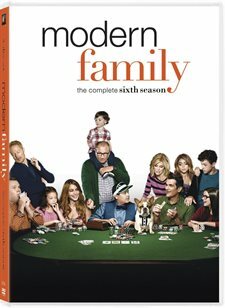 Download Modern Family in Digital HD from the iTunes store. 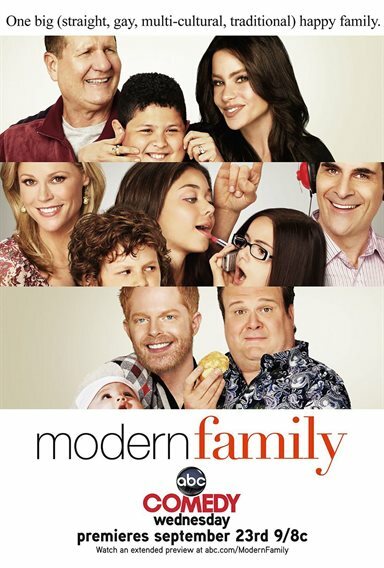 Modern Family images are © 20th Century Fox. All Rights Reserved. Has the reign of Modern Family ended? Is the fairy tale over? For five years, the show has won the Emmy Award for Outstanding Comedy Series, but ,this year, they were upset by a different show. So the question remains… Has Modern Family lost its edge? As Season 7 is just beginning, I was able to take a look back at the fateful Season 6 which is out now on DVD. Although the ratings slipped from their all-time highs in Season 2 and 3, I find the series to be just as smart and goofy as ever. There is a reason the show has won so many Emmy Awards and I don't see anything this past season that would diminish their success. The premise of the show follows the extended Pritchett/Dunphy families and all their dysfunction. Patriarch Jay Pritchett (Ed O'Neill; Married With Children) is married to Gloria (Sofia Vergara; Men In Trees), a much younger Latina woman with lots of spirit. He has two grown children, Mitchell (Jesse Tyler Ferguson; Hot In Cleveland) and Claire (Julie Bowen; Weeds) and, along with their respective families, their lives make up the meat that is the fodder for every episode. Over the years, the show has hilariously tackled sensitive topics like the older man married to a much younger woman and the marriage of a gay couple and their struggles and triumphs of adopting a child. This close knit family brings all their blemishes to the surface and makes the audience feel a little bit better about their own families. While I'm not a fan of how the show is shot; the reality TV show format, following around a group of people dissecting their daily movements; I do enjoy when the director and producers try new things. Season six saw the emergence of one of my favorite episodes, "connections lost" which was shot as if Julie was stuck in an airport and Skyping and face timing the rest of the family to try and figure out what was happening with her daughter after they had a fight. The DVD offers some interesting extras, including the making of the "Connections Lost" episode, the obligatory gag reel, and deleted scenes. Unfortunately, one of the other features isn't exactly enthralling, titled "A Day with Julie" where the camera follows her around one day on set. She comes across kind of obnoxious and unlikable. Also, a look at the making of some of the other episodes "Awesome Halloween" and "A Modern Thanksgiving" are simply boring. I believe Modern Family has a lot of life left in it and I am anxious to see what they come up with for this new season. They still have a strong following, despite being past their "heyday", and fans will most likely enjoy this DVD collection of season six.